Global flagship of the Potenza line, utilizing the UNI-T AQII advanced technology, for peak performance in both wet and dry conditions. 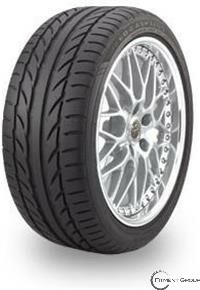 Unique tread and sidewall design inspired by the Bridgestone Potenza racing rain tire. Super EPO improves wet handling as the tire wears. Super EPC counteracts the effects of heat so worn tires have the flexibility needed for wet performance.